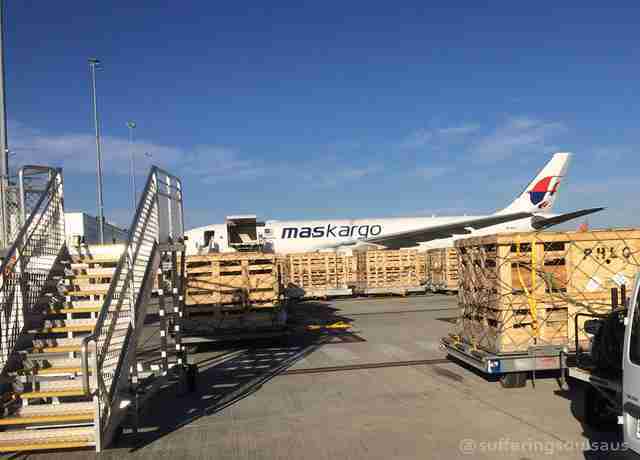 "They are left languishing in the sun in those crates, unable to move. They were petrified." The sheep were packed into crates like lifeless cargo. They had no food. No water. And they had a terrifying plane journey ahead of them. 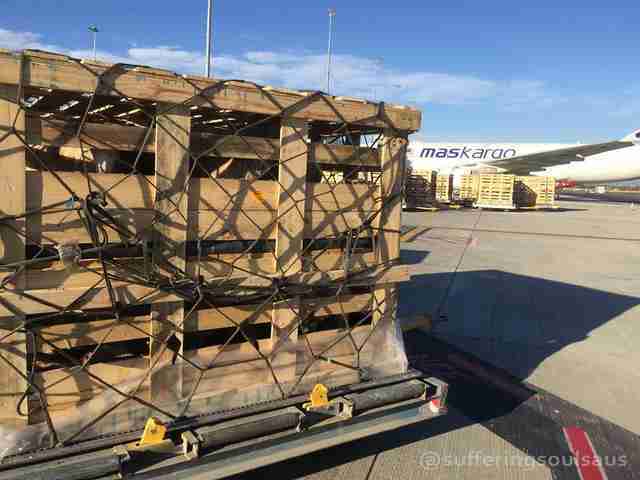 Earlier this month, photographers in Australia got access to an undisclosed airport runway, and took photos of crated sheep as they were being loaded onto cargo planes. While it’s unclear exactly where they were headed, Kelly Dinham, spokesperson for Suffering Souls, the animal welfare group that published the photos online, doesn’t think they’re going anything pleasant — as they're some of Australia's many victims of live export. Once the sheep reached their destination, they’d be slaughtered, probably in a very horrific and inhumane way. But this is nothing unusual. Each year, Australia exports millions of sheep, cows and goats to Asia and the Middle East. Once the animals reach their destination, often in countries that don’t have the same welfare standards for slaughter as Australia, they’re either painfully killed in slaughterhouses or sometimes sacrificed in ritualistic ceremonies. 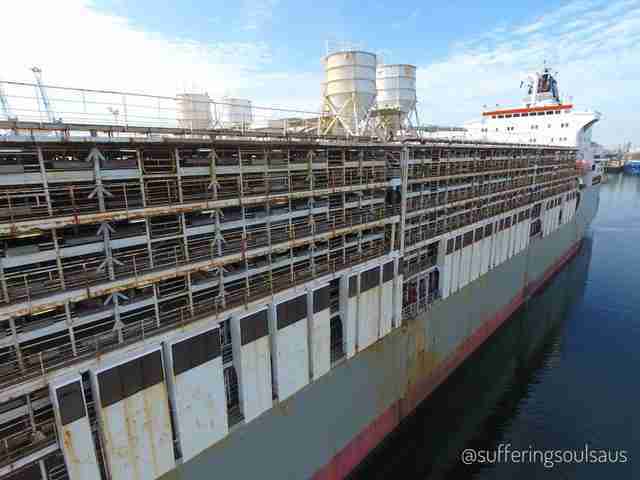 Most animals leave Australia on “live export” ships, large vessels in which thousands upon thousands of animals are packed into tight quarters. 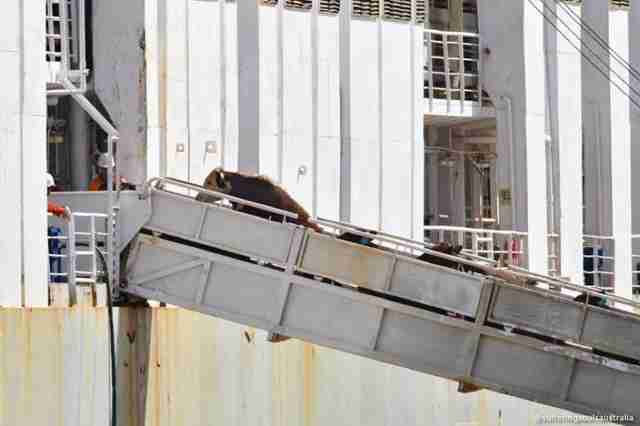 Many of those animals die due to stress, sickness or heat exposure, which has led opponents to dub the ships “floating ovens” or “floating coffins.” It’s so bad on these ships, one cow made international headlines in 2016 when she leapt from a boat into the ocean to try and escape. Going by airplane would certainly make the trip faster, but animals still suffer during this transport process, Jed Goodfellow, senior policy officer at the Australian RSPCA, told The Dodo. Deaths on these plane journeys are fairly common. The sheep in the photos were also packed into the crates tightly — too tightly for comfort, in Dinham’s opinion. “It is hard to tell, but from the photos we provided there are two levels in each crate, and at least eight to 10 sheep per level, maybe more,” she said. Most of the sheep hadn’t been shorn, which would have made things worse, Dinham explained. 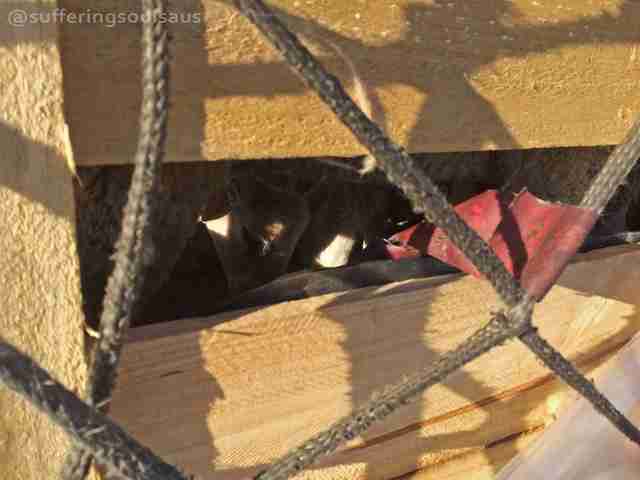 Not only would this make them overheat inside of the crates, but they were probably headed to a country with a hot climate, whether it be in Asia or the Middle East. On top of everything else, the sheep could potentially remain on the tarmac for hours before being loaded, according to Dinham. It isn’t known how many sheep ended up on each Maskargo plane, but previous live export flights have carried up to 1,000 animals, according to Dinham. 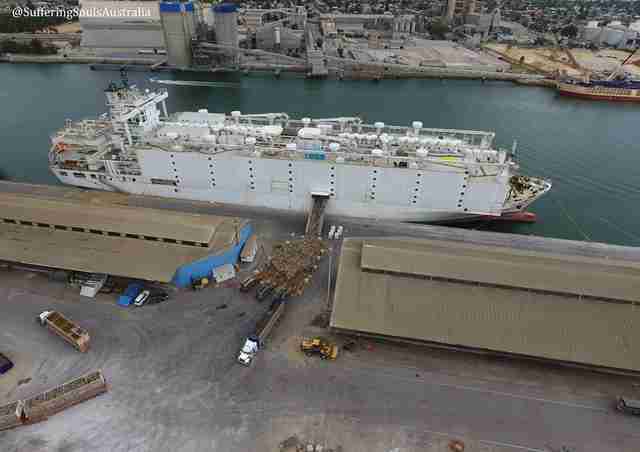 This may seem like a lot, but it’s little in comparison to the 70,000 animals crammed onto a live export ship. 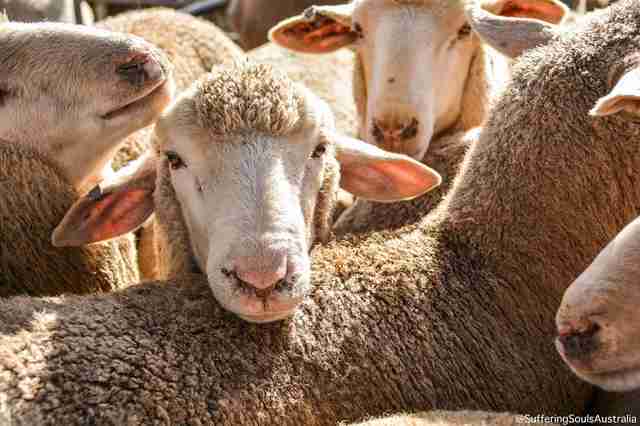 While it may be too late to help the sheep in the photos, Dinham hopes that showing the cruel ways in which they’re handled will pressure the Australian government to put a stop to the practice of live export. Public concern has been growing over the practice, as many of these animals are shipped abroad to be killed in ways that wouldn’t be legal in Australia. Dinham also hopes that more people recognize what incredible creatures sheep are. To help end live export in Australia, you can sign this petition.